The Pearl SLG100 was developed and designed to give the drummer 3 different ways of wearing the instrument. The fully adjustable strap with removable back support provides comfort and gives this sling many features not found in today's models. Made of a high strength strapping for added support and one large steal ring for easy adjustability, this sling was designed to fit all sizes. Attachments to the drum can be made with 2 hooks that can clip onto any MH30 or CH5S. Designed and developed with today's Traditional and Pipe Drummer's of the 21st century. 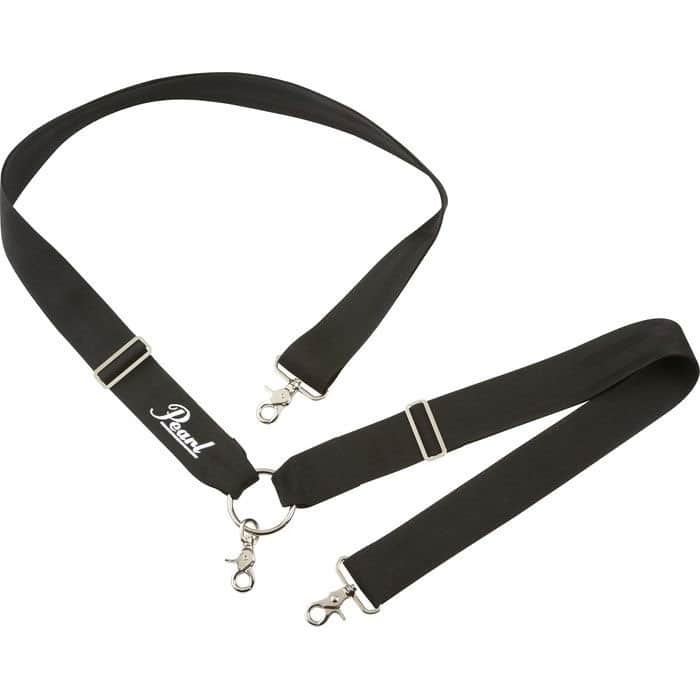 Slg 100 Triple Function Sling from Pearl is 100% original and brand new. We, at Melody House take pride in our after sales service and support. For further details on the slg 100 triple function sling, Pearl, simply write to us to consult an expert or order online and we will take care of the rest. Happy Shopping!